What is your realistic liveaboard and why? I am a Catalina 34-36 ft fan. It is the maximum I will get on my mooring. Still able to sail single handed. Maximum marina berth length available when I need it. 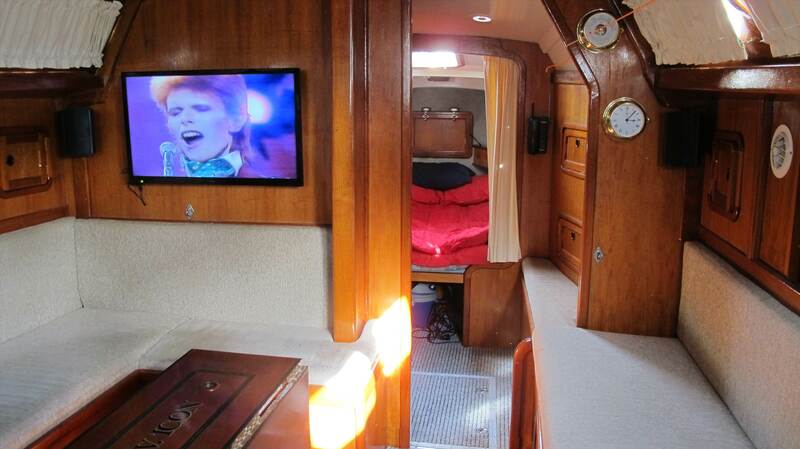 40ft and a island bed! Have you looked at the island packet on yacht hub? 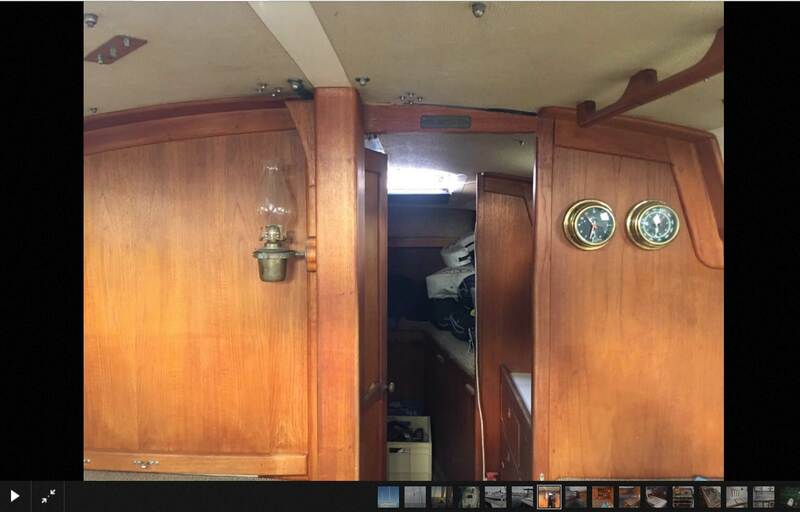 Baramectric and clock and some oil lantern 1983 SA sale like a spend amother 50k and then you can be a full livaboard in pure bar comfort. Realistic because I own it & I have set it up for me to live aboard & operate single handed. 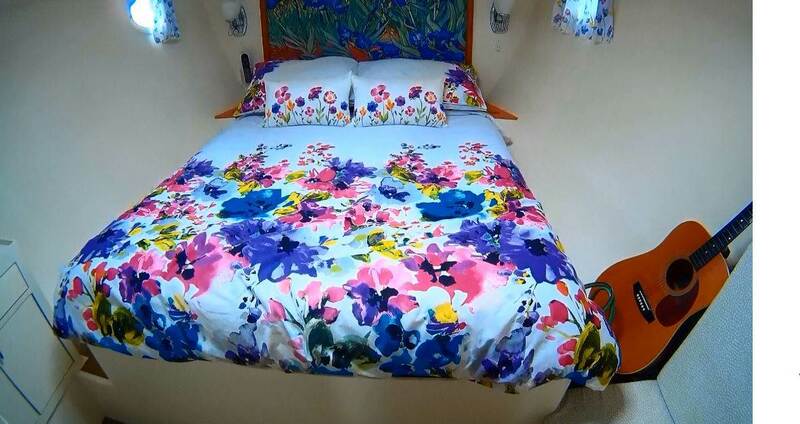 The island bed is a must & I do like a decent fridge & freezer with enough power to run them 24/7. A decent sound system also if you are a music lover. Poor guitar. But love the island bed and fridge! 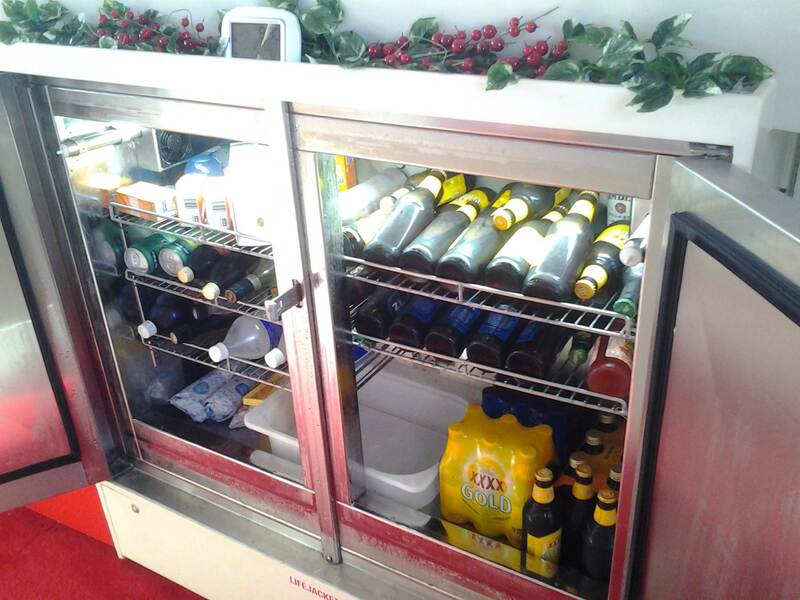 That fridge deserves much better beer !! I admire greatly what some of you have done. Back to the Catalina. I have owned a share in one before. I like the idea of them holding their value better than most and selling readily at the right price. But I hope I have an open mind. any time it says "extended" I look no more. It is like buying a size 7 shoe and extend it to size 9. Would you wear it? 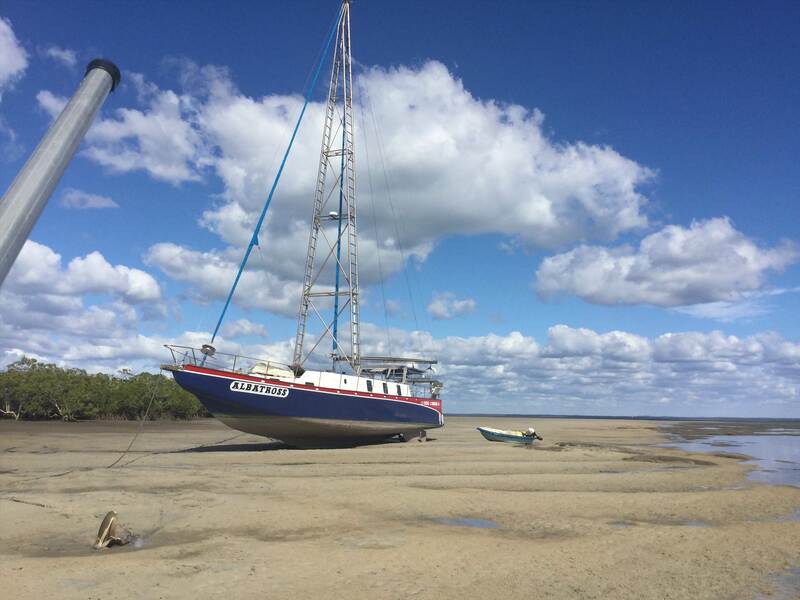 Start with an S&S that is currently a liveaboard boat. Why? Because last weekend it was blowing pretty hard and my wife saw the mono next to us with a man at the helm and two ladies hanging on for dear life and she said "no way, you are not getting one of those!" Compass Northerner 28 - we love small spaces (and each other), what can I say! Two & a half years so far. P.s. The low bills aren't bad either! yep its only had the sugar scoop added , good mod . ketch rig nice yacht ! yes she is a nice yacht , not sure why no one has snapped her up ,very good price !!! She's a nice looking hull Sands but I'm guessing add another 50k to get her up to scratch. My 37 foot Sparkman and Stephens Tartan 37 is an ideal liveaboard for me. Can be singlehanded. Plenty of room in the cockpit for company to sit and enough room for me and crew or two. yes you purchased well McNaught. !! She looks great mate your living the dream like me. It's got opening windows now. It just like the story of the ugly duckling ?? Not at all ishes practical ! 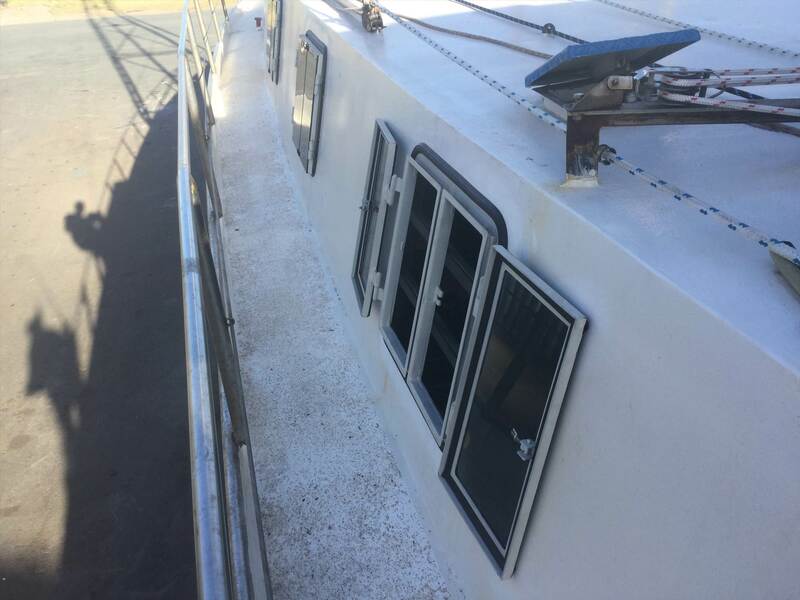 My aircon has been running since 7am she's now showing a red led o on the circuit board nothing wrong with Windows while on shore and living the dream! As I got told , you don't know yet what you've got! Currently looking at an Olsen for sale that'd do nicely. Hoping to purchase in 3 months so probably gone by then but fingers crossed. It's a buyers market ! Yes correct, I lived in a car for some time while traveling. and found it all I needed.